Not only does the Labor Day weekend signal a little time off work, but it also indicates a close to the summer season, which means it’s time to get ready for colder weather. So get in the spirit of the long weekend and put the labor of love into your home by creating a cozy hideaway that your family can retreat to once the outdoors become too chilly. One of the best places to create this snug space is to mimic hibernating animals and go under ground — to the basement. Whether your lowest level needs a facelift or is completely unfinished, Labor Day weekend is the perfect time to make a game plan and get started on remodeling your basement. 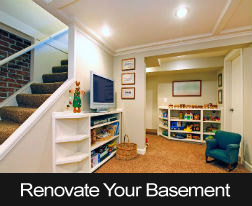 Before you can just slap up insulation and drywall, you need to make sure your basement is even fit to dwell in. Check with your city to ensure there aren’t any permits you need to obtain and that the space is up to code. If you don’t do it right, then this update could haunt you when it comes time to sell. You’ll want this space to be warm in winter and cool in the summer. Contact a contractor to see if getting air to this lower level will be as easy as tapping into your current HVAC system and whether or not your existing appliance can handle the extra space. Now comes the fun part. Decide what you want down there! A bedroom or two, a man cave, or TV room; a blank slate provides all sorts of exciting options. Once you’ve got a plan, start framing it out. This underground level needs exit points that go directly outside. So, install a back door or windows that someone could fit through in case of emergency. If there are bedrooms in the design, they also each need their own exit point. While the ground surrounding your home provides some insulation, you’ll want to properly insulate around the perimeter and in between rooms to provide a noise barrier. Then put up the drywall. Pick out your flooring, such as wood, tile, carpet or vinyl. It mostly depends on what type of rooms you’re planning to create. Make sure your floors are level before you lay anything down. It’s especially common to find slanted floors in older homes. You’re almost finished! Pick out your paint colors, move in your furniture and enjoy your new cozy hideaway. Colder weather will be here before you know it, so use the long Labor Day weekend to get this project started. The National Association of REALTORS reported Wednesday that pending sales of existing homes fell by 1.30 percent in July. According to the organization’s Pending Home Sales Index, this was the second straight month that pending home sales dropped. July’s Pending Home Sales Index reading was 109.50. Signed Purchase Contracts For Existing Homes Tracked In The U.S. Pending home sales were 6.70 percent higher year-over-year on a national basis. This indicates that the housing recovery is progressing, but at a slower pace. Short supplies of available homes have also impacted sales. 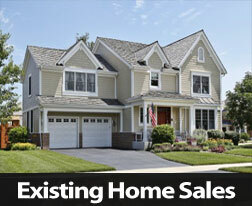 In some areas homebuyers are facing competition from multiple buyers for individual homes. 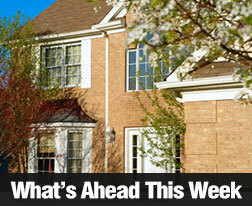 Another report released earlier in the week showed that the pace of rising home prices also slowed. This connects with fewer pending home sales, as when demand for homes cools, prices are likely to fall as well. 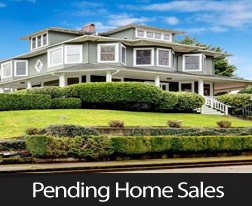 Pending home sales serve as an indicator for future home sales, as purchase contracts typically lead to completed home sales within two to three months. The Federal Reserve has indicated that it may begin reducing its stimulus program of buying $85 billion per month in U.S. Treasury bonds and mortgage-backed securities. The Fed has repeatedly stated that continued monitoring of economic trends would weigh heavily on its decision if and when to modify its current stimulus program. Mortgage rates have risen more than a percentage point since May when the Fed began discussing potentially “tapering” its monthly bond purchases. The Fed may interpret the slower pace of rising home prices and pending home sales as a sign that it’s not yet time to reduce its stimulus program. This could help with lowering mortgage rates, which are expected to rise when the Fed reduces its monthly securities purchases and eventually ends its stimulus plan. Housing has led the economic recovery; faltering indicators in the housing sector suggest that the overall recovery is a fragile process. Home prices are still rising, but at a slower pace according to the S&P Case-Shiller Home Price Indices for June. Home prices for the cities surveyed in the HPI rose by 12.10 percent on an annual basis as compared to May’s reading of 12.20 percent. This is the highest rate of monthly growth for home prices since the peak of the housing bubble in 2006. June’s home prices remained approximately 23 percent lower than peak prices, but economists consider the bubble peak an anomaly and caution against comparing current home prices to the peak prices seen in 2006. Regional home prices reported in June’s HMI were mixed. Case-Shiller publishes a 10-city Index and a 20-city Index of home prices. 13 of 20 cities saw their rates of rising home prices decline from May to June. Atlanta posted the highest month-to-month gain in home prices at 3.40 percent. Washington, D.C. posted the slowest month-to-month gain in home prices at 1.00 percent. New York City posted a monthly gain of 2.10 percent in home prices in June; this was its highest rate of increase since 2002. Both S&P Case-Shiller Home Price Indices for June showed annual growth in home prices. The 10-city index posted an annual gain of 11.90 percent and the 20-city Index posted an annual growth rate of 12.10 percent. Las Vegas enjoyed the highest annual rate of home price growth at 24.90 percent. In year-over-year price gains, Las Vegas and San Francisco’s gains exceeded 20.00 percent, while Atlanta, Detroit and Phoenix posted year-over-year gains of 19.00 percent, 16.40 percent and 19.80 percent respectively. Mortgage rates remain historically low, but have risen sharply over the last few weeks. This trend, coupled with persistently low inventories of available homes is seen as a significant reason for slower growth in home prices. Investors and would-be home buyers are also waiting to see if the Federal Reserve reduces its monthly stimulus program; such a reduction would likely cause mortgage rates to rise further. The Fed has not set a date for “tapering” its monthly stimulus, but has indicated it will do so soon if economic conditions continue to improve. The National Association of REALTORS reported that existing home sales for July came in at 5.39 million on a seasonally adjusted annual basis. July’s reading exceeded both expectations of 5.21 million existing homes sold and June’s reading of 5.06 million homes sold. This suggests good news for home buyers who’ve been constrained by limited supplies of homes for sale. 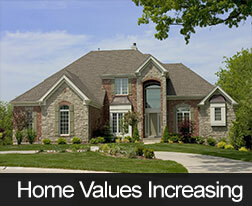 As home prices continue increasing in many areas, more homeowners are likely to list their homes for sale. Existing home sales for July rose by 6.80 percent year-over-year. The Federal Housing Finance Agency Home Price Index reported a 7.70 percent year overyear increase in prices for homes financed by Fannie Mae or Freddie Mac. This reading was slightly higher than May’s year-over-year reading of a 7.60 percent increase in home prices. New home sales for July dropped by 13.40 percent to a seasonally adjusted annual reading of 394,000; this was lower than expectations of 485,000 new homes sold, but this expectation was based on June’s original reading of 497,000 new homes sold. June’s reading has been adjusted to 455,000 homes sold, which likely would have resulted in a lower expectation. While this isn’t great news for developers and home builders, supplies of new homes for sale jumped from a 4.30 month supply of new homes in June to a 5.20 month inventory of available new homes in July. This was the highest inventory of available new homes since January 2012. Month to-month sales of new homes tend to be volatile, but July’s year-over-year home sales were 6.80 percent above new home sales in July 2012. Higher mortgage rates likely stifled sales, but slower sales would increase inventories of available homes. More homes available would help ease constraints on buyers and level then playing field for home buyers who have been competing for few homes in strong seller’s markets. Rising mortgage rates could continue, especially if the Federal Reserve begins tapering its $85 billion in monthly bond purchases, a program known as quantitative easing. The Fed has announced that it may start reducing the QE program before year-end. When QE purchases are reduced, securities prices can be expected to fall due to less demand, and mortgage rates can be expected to rise. Last week brought mixed economic news, but Leading Indicators released Thursday suggest that the U.S. economy is growing at a moderate rate. Mortgage rates for fixed rate loans were higher, but the average rate for a 5/1 adjustable rate mortgage was unchanged from the prior week. Weekly jobless claims were also higher. The National Association of REALTORS released its Existing Home Sales report for July and reported existing home sales came in at 5.39 million on an annualized basis. This reading surpassed expectations of 5.21 existing homes sold as well as June’s reading of 5.06 million existing homes sold on an annualized basis. The minutes for the July 31 FOMC meeting were released, and emphasized the likely “tapering” of the Fed’s quantitative easing program possibly as early as September, though no dates have been set. Many of the FOMC members support reducing the $85 billion in monthly securities purchases made by the Fed; fewer members supported tapering the asset purchases sooner than planned. Previous announcements by the Fed regarding its plan to reduce QE have created erratic responses in financial markets, but the release of the meeting minutes seemed to cause a sharp rise in mortgage rates. Freddie Mac reported that the average rate for a 30-year fixed rate mortgage moved from the prior week’s average rate of 4.40 percent to 4.58 percent; average discount points moved up from 0.70 to 0.80 percent. Average rates for a 15 year fixed-rate mortgage also rose from 3.44 percent to 3.60 percent with average discount points moving from 0.60 to 0.70 percent. Average rates for a 5/1 adjustable rate mortgage were unchanged from the previous week at 3.21 percent with average discount points paid at 0.50 percent. FHFA reported that home prices for homes with mortgages owned by Fannie Mae and Freddie Mac rose by 7.70 percent year-over-year in June, home prices rose slightly from May’s year-over-year- rate of 7.60 percent. Leading Economic Indicators (LEI) for July rose by 0.60 to a reading of 96.0; this exceeded expectations for an increase of 0.50 percent. The LEI measures the health of the economy by measuring 10 top economic sectors; eight of 10 factors measured increased; these were led by the spread on interest rates, availability of credit, stock prices and permits issued for building new homes. New home sales for July were lower than expected at 394,000; Wall Street expected new home sales to come in at 485,000 on a seasonally-adjusted annual basis against the revised number of 455,000 new home sales reported for June. 497,000 homes were initially reported sold in June. Hew home sales gained by 6.80 percent year-over-year in July. Scheduled economic news for this week includes the Case-Shiller Home Price Index, and Consumer Confidence on Tuesday, Pending Home Sales will be out Wednesday. Thursday brings Weekly Jobless Claims, and Friday brings consumer spending and the University of Michigan’s consumer sentiment report. You’re brushing your teeth and you turn on the faucet. It’s not draining and starts to back up. Here’s the dilemma; do you spit and let it sit or run to the kitchen? One thing is for sure; having a clogged drain can be a major annoyance. 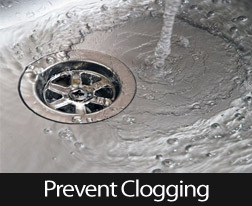 Clogs not only frustrate a homeowner but they can be hard on your plumbing. The added pressure they create puts stress on your pipes and can shorten their lifespan. So end the issue by following the guidelines below. You’ll learn how to prevent clogging and clear the ones you already have. Even if you have a disposal, it’s not good for your pipes to have sticky, mushy food shoved through them. Peel vegetables and scrape plates into the trashcan. Also, avoid pouring grease down the drain. Animal fat can congeal into a solid and form a blockage. Instead, store it in a sealable container in the freezer. Once it’s full, trash it! Don’t wash loose hair down the drain. Collect it and throw it away after your shower. If you shed a lot, it might be beneficial to install drain screens to catch loose hair and make it easy to dispose. Be sure to clean these out every few weeks. Be wary about using chemical drain cleaners. They can erode cast-iron pipes and usually don’t remove an entire clog, so it can easily recur. You should consider hiring a professional plumber to snake your drains; or better yet, buy your own augur at the hardware store for about $15. Homeowners can be hard on their drains. From hair to food, clogs are a time-consuming frustration that might cost you big. Treat your plumbing with a little love and it’ll reward you by quickly removing water and waste from your sight! For more helpful tips on periodic home maintenance, please feel free to contact your trusted real estate professional today. The minutes of last month’s Federal Open Market Committee (FOMC) meeting show significant support for tapering the Fed’s current amount of monthly securities purchases. These purchases, known as quantitative easing (QE), are an effort to maintain lower long-term interest rates including mortgage rates. The Fed has been buying $85 billion per month in Treasury securities and mortgage-backed securities (MBS). Ben Bernanke, chairman of the Federal Reserve and FOMC has hinted at “tapering” the Fed’s securities purchases by year-end in recent statements. 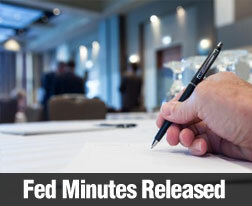 The FOMC minutes released Wednesday further suggest that tapering based on strengthening economic trends is likely. The minutes for the last FOMC meeting, which took place on July 30 and 31, states that many members are “broadly comfortable” with tapering QE securities purchases later this year if the economy continues to improve. At the same time, many FOMC members indicated that it “isn’t yet time” to scale back the purchases. All along, the FOMC has emphasized that it will closely monitor domestic and global financial and economic developments as part of its decision about when tapering the QE purchases will begin. The Fed is likely to monitor its words as well as economic conditions, as previous announcements about tapering QE made by Chairman Bernanke and FOMC have created havoc in world financial markets. In relation to mortgage rates, it’s likely that tapering QE purchases will cause mortgage rates to rise. Demand for bonds will fall as the Fed reduces its purchases, falling bond prices usually cause mortgage rates to rise. It’s important to keep in mind that tapering QE securities purchases is only one among many things that can impact financial markets, mortgage rates and the economy. While the Fed is expected to begin tapering its securities purchases as soon as September, developing economic news throughout the world can potentially impact mortgage rates and could cause the Fed to revise its timeline for tapering the volume of its securities purchases.